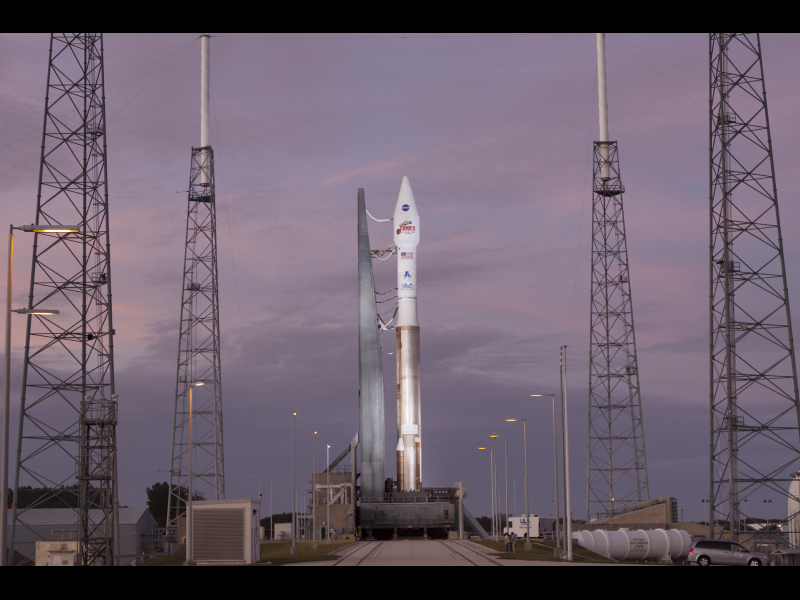 At Cape Canaveral Air Force Station’s Space Launch Complex 41 a United Launch Alliance Atlas V rocket stands ready to boost the Mars Atmosphere and Volatile Evolution, or MAVEN, spacecraft on a 10-month journey to the Red Planet. MAVEN is being prepared for its scheduled launch today from Cape Canaveral Air Force Station, Fla. atop a United Launch Alliance Atlas V rocket. Positioned in an orbit above the Red Planet, MAVEN will study the upper atmosphere of Mars in unprecedented detail.